Built to contract 15527 and wheeled out of the production hangar on 17 December 1959 she was allocated to No. 511 Squadron, RAF Transport Command. 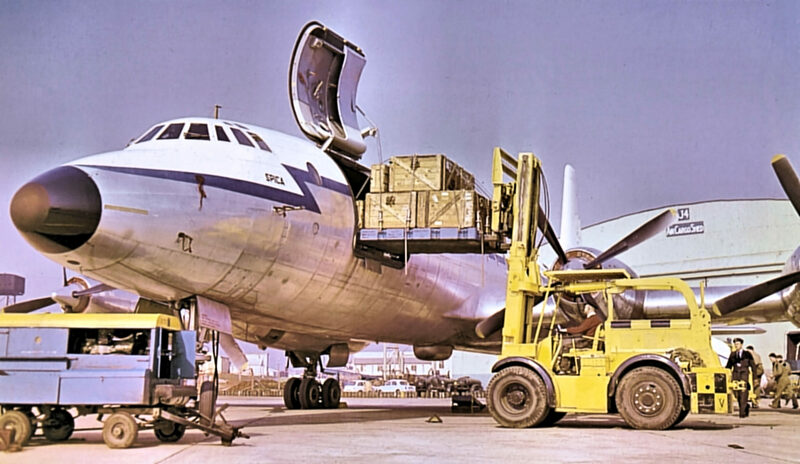 Delivery took place on 30 December 1959. XM518 was named ‘Spica’ and operated with 99 and 511 Squadrons Britannia pool at RAF Lyneham from 23 November 1960. 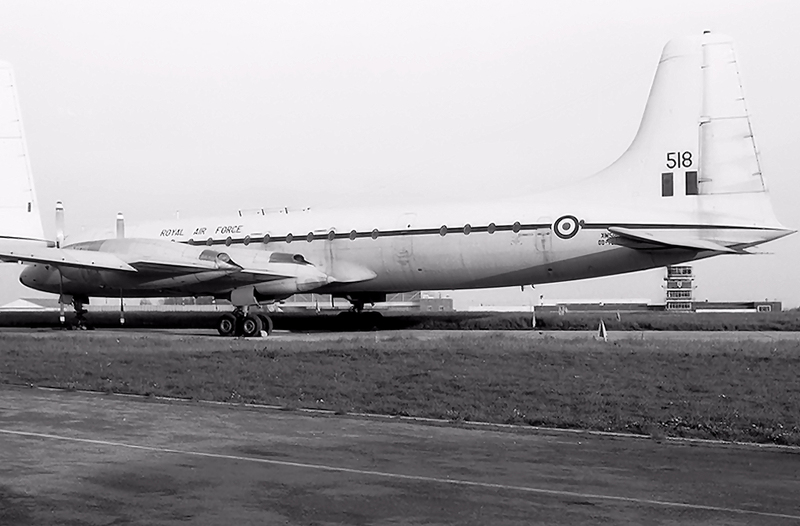 Withdrawn from service by the RAF on 24 November 1975 with a total of 19 641 flying hours to her credit and 8114 landings, she was ferried to RAF Kemble for storage and eventual re-sale. Registered OO-YCD on 23 February 1976, she was purchased by the Belgian cargo airline Young Cargo on 04 March 1976 and ferried to their base at Charleroi the next day. OO-YCD was then used as a source of spares for Young Cargo’s other Britannias and was broken up for scrap at Charleroi, Belgium during 1978.